Taupo was my first race back since April. My swimming has been progressing well in the pool with some big gains made with Greendale swim club, and my riding has been strong on the hilly road races with the Ramblers cycle club. I was unsure how this training would translate to a half ironman. Not having the consistency in my running or much speed work, I wasn't sure how the legs would hold up. I was a little bit apprehensive leading into race but was incredibly excited to be back on the start line! We drove across from Hawkes bay Thursday night, nice not to have to put my bike into a bike bag. A key focus for this race was to get the basics right. I was the first pro to rack my bike (those who know me well will be very impressed!). This race I had the privilege of being involved with the iron kids run Friday afternoon with Terrenzo, Dylan and Meredith. Some of these kids would definitely out run me! Race morning started at 4am with peanut butter and jam on toast. Race start 6.18am, cold but crystal clear lake, I had a solid swim in my X:3 wetsuit exiting the water in second place 1 minute adrift Meredith Kessler. The heavens opened up for the start of the bike leg, Sam Warriner flew past me up the first hill and Laura Siddal caught me at the half way turn around. It was hard having girls go past me when it felt like I was holding back, but the race strategy was to be patient and to stick to my watts. I started the run leg shoulder to shoulder with Siddal, after 5km I picked up the pace a little and made a gap. At halfway I caught Warriner and the gap between Kessler and I had narrowed to just over 1 minute. With 5km to go at the final turn around there was 45 seconds between us, at this point both us dramatically picked up the pace. Kessler held out for the win and I am incredibly happy with 2nd place behind such an accomplished athlete! Congrats to Siddal who finished in third. 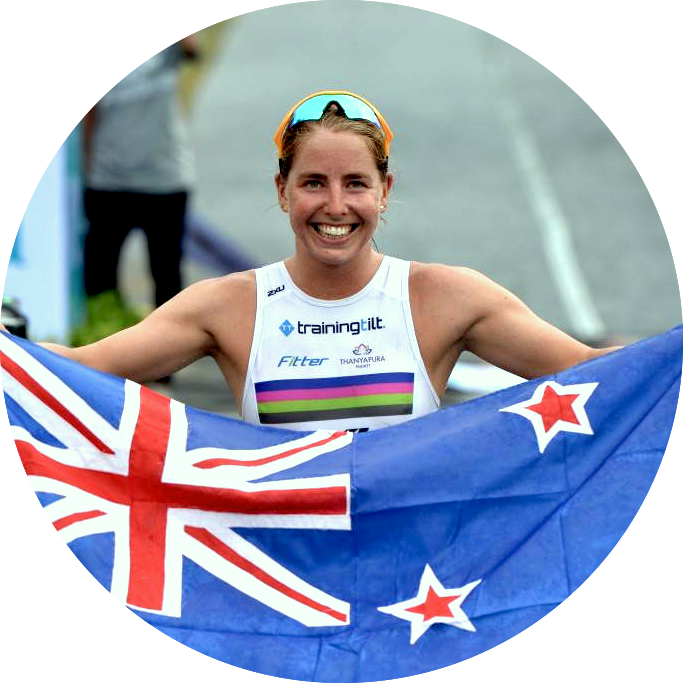 And a special mention to Ashleigh Williams for making the stage in her second ever half ironman. Next race is National Champs at Port of Tauranga Half Ironman, January 9th 2016. A huge thanks to 2XU, Training tilt, Mikki Williden Nutrition, Fitter Coaching, the Hub and amazing friends and family for their support!